금민(2018). “일자리 없는 사회와 기본소득”. 『월간 시대』 55. pp.50~96. 로날드 블라슈케(Ronald Blaschke)(2018). “디지털 자본주의와 무조건적 기본소득: 강력한 폭발력을 지닌 유토피아”. 조혜경 역. 『월간 시대』 55. pp.38~49. 박선미(2018). “2017년 기본소득한국네트워크 활동 스케치”. 『월간 시대』 55. pp.149~159. 안효상(2017). “포르투갈의 실험”. 『월간 시대』 54. pp.53~61. 안효상(2018). “줄리엣 라이스-윌리엄스의 새로운 사회계약”. 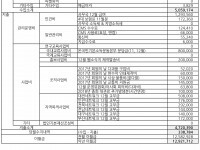 『월간 시대』 55. pp.97~109. 이건민(2017). “때를 만난 아이디어의 실행과 구현을 위하여: 기본소득 전문가들과의 인터뷰”. 『월간 시대』 54. pp.62~78. Spermann, Alexander (2017). “Basic Income in Germany: Proposals for Randomised Controlled Trials using Nudges”. Widerquist, Karl (2017). “The Cost of Basic Income: Back-of-the-Envelope Calculations”. Smith-Carrier, Tracy A. and Steven Green (2017). “Another Low Road to Basic Income? Mapping a Pragmatic Model for Adopting a Basic Income in Canada”. Mencinger, Jože (2017). “Universal Basic Income and Helicopter Money”. Chrisp, Joe (2017). “Van Parijs, P. Vanderborght, Y. Basic Income: A Radical Proposal for a Free Society and a Sane Economy”.